The Homecoming Scotland was a series of events in 2009, created to attract people with Scottish ancestry to visit Scotland and celebrate their heritage. The key event of The Homecoming Scotland, was The Gathering. During this event, Roddy Young presented a special bespoke Dirk to The Gathering’s Patron, Charles Windsor, the Prince of Wales. 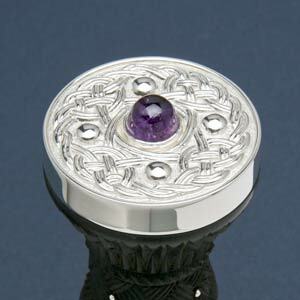 The Dirk had been commissioned by the Gathering’s co-director Lord Sempill, and was the product of the craftsmanship of many leading Scottish artisans, as well as Highland silversmith Roddy Young, who were all able to showcase their skill and quality workmanship through the design of the Dirk. 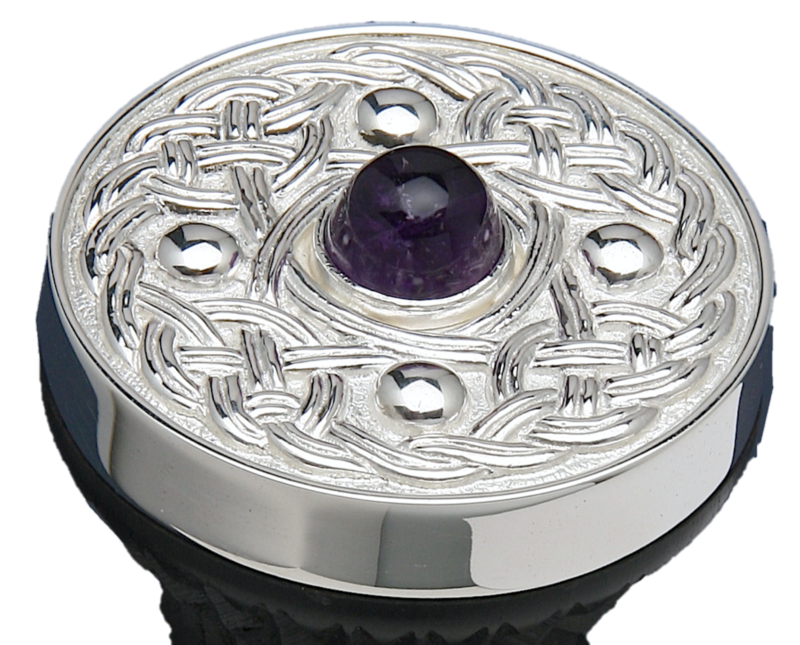 I was extremely humbled and proud to be asked to provide the pommel stone for the top of the Dirk. 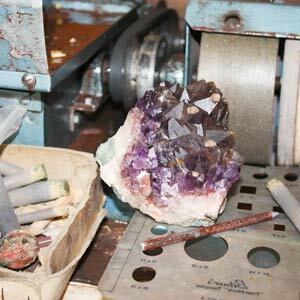 I personally selected the perfect Amethyst which I hand cut, shaped and polished to fit perfectly within the Dirk. I also made the Isle of Skye marble stone used for the catch on the Dirk’s pouch. The finished Dirk was a real showcase of the local skill and diversity available in Scotland, and truly was a piece of art. If you would like to read more about The Gathering Dirk, please visit here. Or if you have any direct questions, please contact me here or via my contact details at the top of the page.